JUST REDUCED!!! 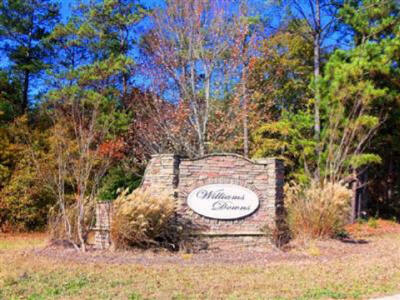 --- In this GATED community, these homes are rarely available on the market. This is a BEAUTIFUL, very spacious home with 9' ceilings, unusually large rooms and open spaces. The inviting front foyer provides a separate entrance adjacent to the formal living area where there are beautiful views through the large bay window on the front of the home. The luxurious formal dining room is spacious and has abundant, built in shelving for china and crystal. This room is open to the formal living area. On the back side of the home, you will find a large, open great room offering the focal point of a wonderful brick fireplace surrounded by bookcases and cabinet area. An open breakfast area adjoins the great room and kitchen. The kitchen has had several very nice updates and is conveniently located near the heart of the living area. The great room space is surrounded by windows, bringing in sunlight and the serene setting outside. Just beyond the great room is a large private deck, perfect for relaxing or entertaining. Each of the large bedrooms has ample closet spaces and private baths. The master bath has a separate tile shower and jetted tub. The spacious two car attached garage is a real plus and leads directly into the kitchen, which offers convenience when bringing groceries in from the car. Everything about this home is well planned, beautiful and comfortable for ease of everyday living. This meticulously maintained home is A RARE FIND. 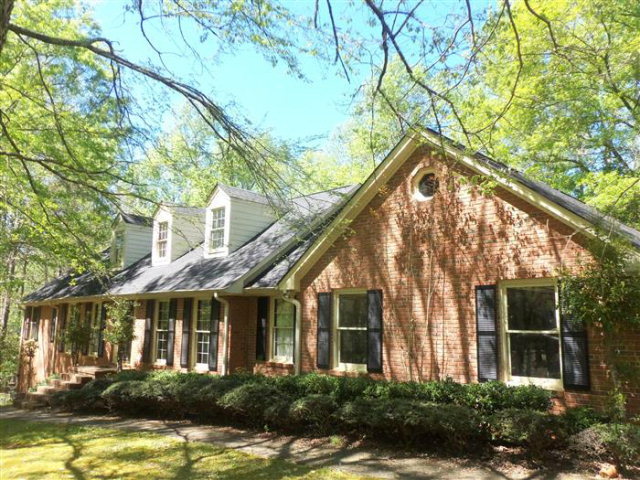 This is a beautiful, inviting family home in a wonderful, convenient neighborhood on the east side of Athens, very close to the new veterinary school, the campus of UGA, several shopping centers, etc. The home offers a large master suite with tray ceiling adjoining a large master bath and closet on the main level. A formal living room or office is also on the main level in addition to a beautiful soaring great room with fireplace and gas logs. The gracious foyer and formal dining room are spacious and offer lovely hardwood floors. Beautiful windows throughout the home offer lots of light and all have custom plantation shutters. The spacious island kitchen has been updated with gorgeous granite, upgraded stainless appliances, tile back splash and is light and bright adjoining the breakfast area, which looks out onto the deck. Upstairs, off of a large landing, you will find three additional bedrooms, each with spacious closets and another large bath. There is a great finished walk-in storage room on the upper level that is perfect for storing so many of those items like Christmas decorations, luggage, etc. This home is one of the most beautifully laid out floor plans that you will find. It has been well maintained and is in beautiful condition! One of the most valuable upgrades is the fully encapsulated crawl space which offers a completely dry area below the first floor level and the finest air quality throughout the home. The yard is beautifully, professionally landscaped and it offers beauty and ease of maintenance. There is a small creek running along the back edge of the property. You will love the beauty, flow and comfort of this home! This is a "Must See". 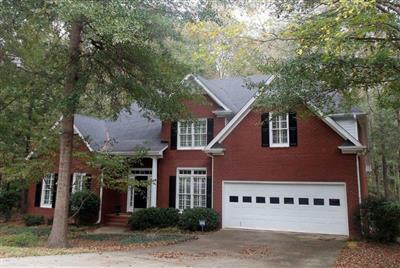 This wonderful, spacious, custom family home on wooded acreage with creek is located on the eastside of Athens within five minutes of the new veterinary school. You cannot imagine how much this home offers! The main level has large formal dining, formal living, huge great room with fireplace, master suite with his and hers baths, fabulous updated country kitchen, spacious laundry room, huge screened porch. Upstairs there are two large bedrooms with dormer windows, ample closet space and a bath. It also offers a two bedroom basement apartment and studio, full kitchen and bath, lots of storage area with its own entrance and covered parking/carport and additional screened porch. Each and every room in this home is generous in size. To the rear of the house is a workshop/studio building with power formerly used for the current owner's kilns. The fenced back yard is perfect for a pet. This home is a perfect combination of historic beauty and today's finest materials and features. You will enter the two story foyer with a grand chandelier and beautiful chair railing seen across the landing upstairs as well as the staircase leading upward. The wood ceiling upstairs is rich and elegant in color. The home has been fully renovated with a beautiful new kitchen, new baths, all floors refinished, all walls and trim painted---many updates and upgrades. The heart pine floors are gorgeous throughout. The house has three levels with all bedrooms on the second and third floors. On the main level is an enormous living/great room divided by columns and bookcases. The light/bright kitchen is elegant with granite countertops, new stainless appliances, and beautiful heart pine flooring and ceiling. The formal dining room has judges paneling below the chair rail, beautiful wood flooring and all of the charming original glass panes in the windows are especially noticeable in this room. On the main level is a full bath and utility room which are updated and offer new tile floors. The office/study on the main level has paneled walls, fireplace and heart pine flooring, as well as a secret panel closet. The third level offers a large and open great room with two bedrooms, bath and an alcove bedroom/study area. This feels cozy with the new carpeting and slanted/vaulted ceilings. Skylights bring in an abundance of sunlight. The expansive lawn displays azaleas, dogwoods, roses, irises, forsythia which are all especially beautiful in the Spring. A huge fig tree adjacent to the garage bears fabulous fruit during the Summer. A myriad of plants from bulbs are in abundance all over the yard. This place is like a small paradise and would be the perfect home for someone who desires to have the beauty of yesteryear, but all of today's modern conveniences. You are minutes away from Commerce, I85, Athens and yet feel like you have your own little world. What an enchanting place---what an enticing way of life! This is such a beautiful family home with a gorgeous, low maintenance yard. The yard has flowering trees and perennial flowers galore and is very private in the rear. A front patio surrounded by flowers greets you as you approach the front of the house. The rear offers a lovely dry creek bed which offers the look and sound of a little brook on a rainy day. The two story foyer opens to a beautiful formal dining room to the right and a study to the left. The kitchen has been rearranged, updated and upgraded with granite countertops, new appliances, lovely subway tile backsplash and looks into the light, bright breakfast room overlooking the lush back yard. One feature of the kitchen is the dual fuel range with gas cooktop and electric convection oven. The spacious vaulted greatroom offers a fireplace with new easy on/off gas logs. The huge master suite is quiet, serene and adjoins the vaulted master bath with shower, jetted tub, double sinks and private water closet. Upstairs, there are three bedrooms plus a bonus room with its own kitchenette. The bedrooms have had new hardwood flooring added and one room would be a great sewing or multi use room. There is abundant storage under the eaves of the roofline of the house accessible from two of the bedrooms. Many new features of the home include the new roof and gutters with gutter guards, new heat pumps, new garage door, and the updated kitchen. 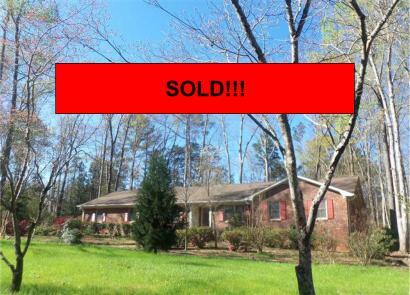 SELLER IS OFFERING $5000.00 toward CLOSING COSTS with an acceptable offer. This has been a well loved and well maintained home. Because a small dog and a new grandbaby are living in the home, the owner asks that an appointment be made---easy to show. The home offers so much space and one of the loveliest yards around. The location is one of the most convenient to shopping and schools imaginable. This is such a beautiful family home with a gorgeous, low maintenance yard. The yard has flowering trees and flowers galore and is very private in the rear. 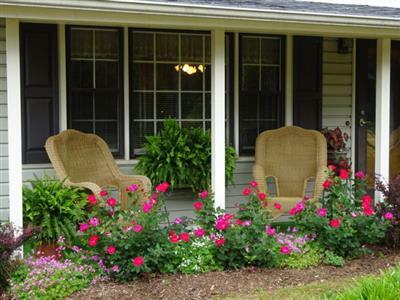 A front patio surrounded by flowers greets you as you approach the front of the house. The rear offers a lovely dry creek bed which offers the look and sound of a little brook on a rainy day. The two story foyer opens to a beautiful formal dining room to the right and a study to the left. The kitchen has been rearranged, updated and upgraded with granite countertops, new appliances, lovely backsplash and looks into the light, bright breakfast room overlooking the lush back yard. One feature of the kitchen is the dual fuel range with gas cooktop and electric convection oven. The spacious vaulted greatroom offers a fireplace with new easy on/off gas logs. The huge master suite is quiet, serene and adjoins the vaulted master bath with shower, jetted tub, double sinks and private water closet. Upstairs, there are four bedrooms---one with its own kitchenette. The bedrooms have had new hardwood flooring added and one room would be a great sewing or multi use room. There is abundant storage under the eaves of the roofline of the house accessible from two of the bedrooms. Many new features of the home include the new roof and gutters with gutter guards, new heat pumps, new garage door, and the updated kitchen. This has been a well loved and well maintained home. Because a new grandbaby is living in the home, the owner requests overnight notice for showings if possible, but otherwise easy to show. The home offers so much space and one of the loveliest yards around. The location is one of the most convenient to shopping and schools imaginable. This home is right on the lake, has a dock, is located near much shopping on the Eastside. 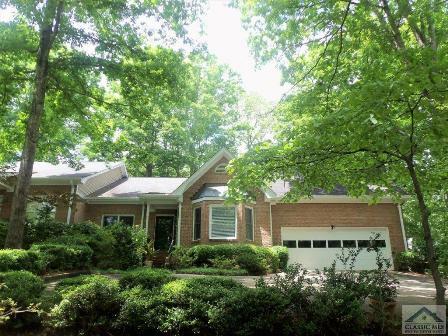 It is very spacious, and offers hard-wood floors in the great room, two story foyer and dining room. 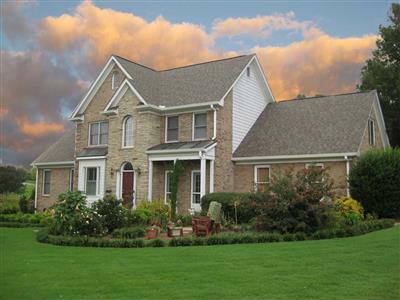 It has great views from the master suite, great room, dining room and screened porch. It has a huge amount of storage, two car garage, beautiful hardwood floors in the great room, dining room and foyer. House will be available 2 August, 2016. Talk about a great home! This is it with all the bells and whistles and a pool to go along with it. Everything about this property is top notch!! Sort of like resort living at its best. Large open kitchen design with formal dining room. Gas stove. Huge great room with wall of brick and large wood burning fireplace. Beautiful landscaping. Fenced for your dogs or kids. Huge mud room. Lots of storage. Home also has two large outbuildings that stay with the property. Very large covered porch in rear of house for dining or just relaxing by the pool. Brand new $700 pool pump installed June 16, 2014. 2 acre lot.